When Kylina Turner first spotted Caro, she didn’t realize that the small bundle of fur was actually a dog. Caro’s legs were stuck in a wire bed frame in the backyard of an Austin, Texas, property. Too weak to free himself from the mangled box spring, Caro knew Turner was his only hope — so he held out his paw. Turner was terrified to touch the skeletal dog, so she took off her sweater and wrapped it around his small, 18-pound frame before gingerly lifting him out of the bed. Turner was shocked by how trusting the young dog was. “He followed right by my side as we walked to my car, where he immediately fell asleep, finally feeling safe,” she said. 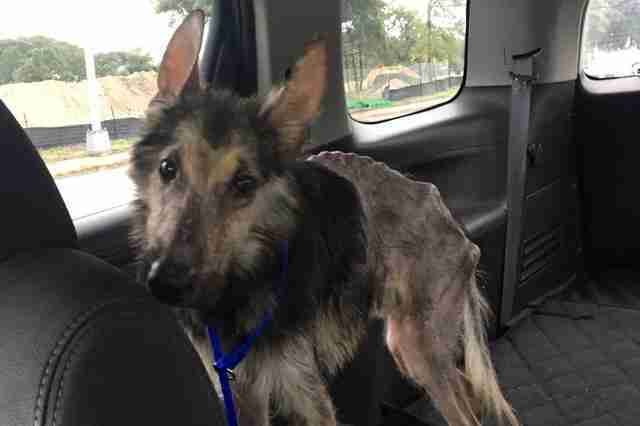 Afraid that the pup was too sick to endure a 20-minute ride to the nearest animal shelter, Turner decided to head straight to the vet instead. 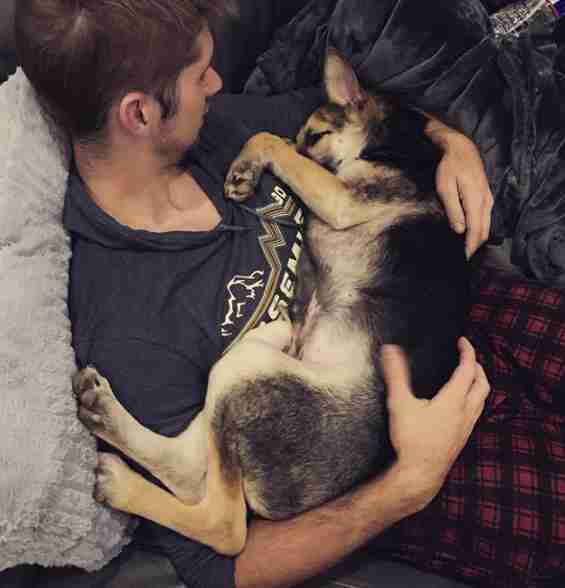 When she arrived, the team made sure he was stable and, in the process, fell in love with the 6-month-old dog. 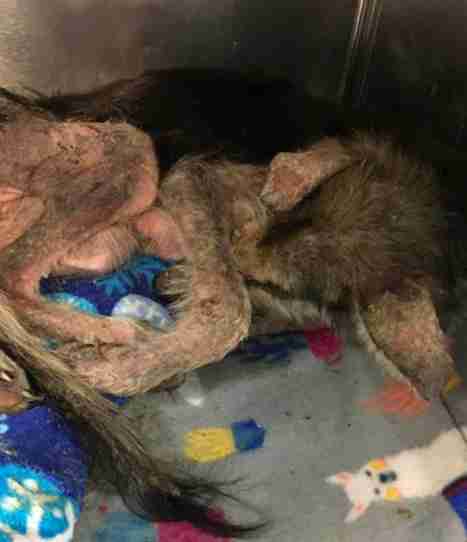 A checkup revealed that the young dog was malnourished, sunburned and dehydrated, and had the worst case of mange the vet had ever seen. Unsure if Caro would survive medical treatment, Turner made a habit of checking in — but the dog could barely move. 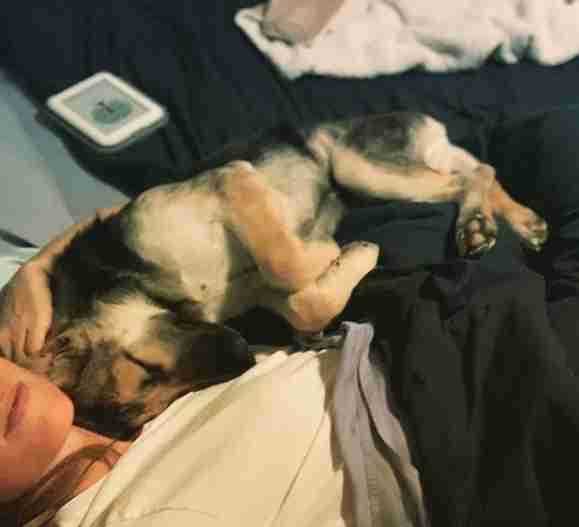 Despite how little Caro could interact with his surroundings, Turner found herself growing attached to the sick little dog. 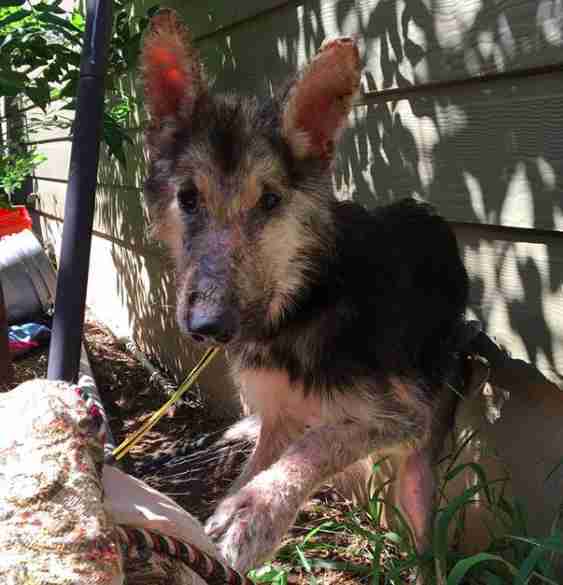 She decided that, once Caro left the vet, she would foster him until he regained his strength. Once she got him, of course, things didn't go quite to plan. Turner gave Caro medicated baths to treat his mange and fed him small meals four times a day to help him put on weight. Slowly, Caro transformed. 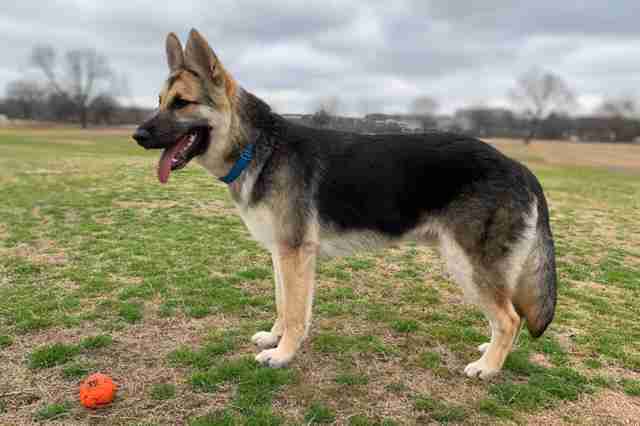 … and with every pound he gained, he started to look more and more like a young, healthy German shepherd. Thanks to Turner’s commitment, Caro is like a whole new dog. 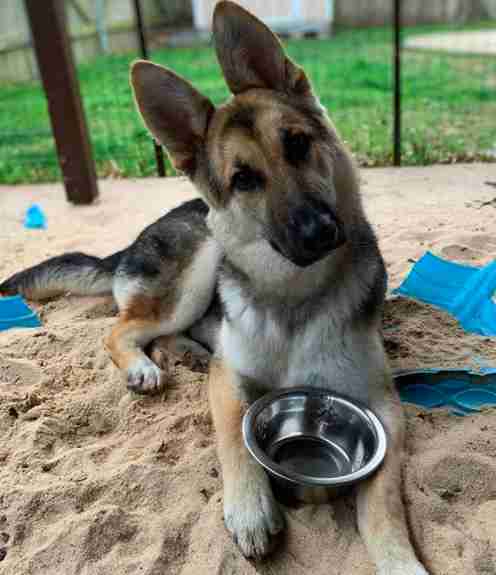 “He is now 9 months old and 50 pounds, with the softest and fluffiest coat ever and absolutely no health issues,” Turner said. Though Caro looks nothing like his old self, inside he’s still the same trusting dog Turner met that very first day. Months later, Turner is so glad that she noticed Caro and couldn’t picture life without him. Caro is clearly pretty happy with the situation, too. To learn more about Caro’s adventures, you can follow him on Instagram.